Aside from the annual Future's Game, the Arizona Fall League is the biggest gathering of baseball's top prospects. This years' season is set to start on Tuesday, October 9. This year, there is an astounding number of prospects who are potential stars. Houston Astros' prospect and the number one pitching prospect according to MLB.com, Forrest Whitley is set to pitch in the AFL. The son of 2018 Hall of Famer Vladimir Guererro, Vladimir Guererro, Jr., baseball's number one overall prospect, according to MLB.com, is also set to play in the desert. Other top prospects include Philadelphia Phillies number one prospect, Sixto Sanchez, Washington Nationals' number two prospect Carter Kieboom, Future's Game MVP and Cincinnati Red's number three prospect Taylor Trammel, and Milwaukee Brewer's number one prospect Keston Huira. More importantly, though, are the Arizona Diamondbacks prospects playing in the AFL. That includes the organizations' number one prospect, pitcher Jon Dupalaniter. Catchers: Renae Martinez, Dom Miroglio and Daulton Varsho. Infielders: SS Jazz Chisholm, 3B Drew Ellis, and 1B Pavin Smith. 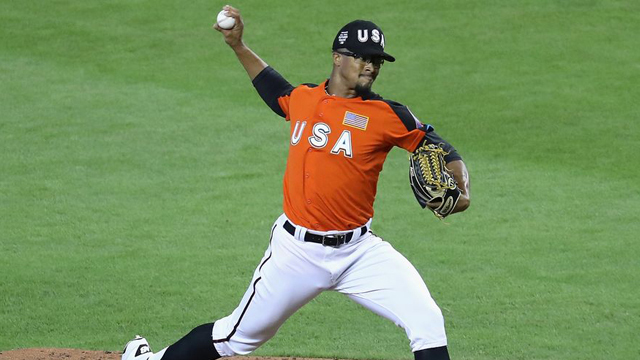 Duplantier was a third-round pick in 2016 and rose to the number one spot in the system. His fastball sits 92-94 and, according to the 20-80 scouting scale used by major league scouts (20 meaning extremely below average, and 80 meaning elite), Duplaniter's curveball and slider are each 55s, and his changeup is a 50. According to MLB.com, he has the ceiling of a frontline starter. He was hurt for the better part of 2018, but in 74 innings pitched, he compiled a 3.04 ERA77 strikeouts and 30 walks in route to a 5-1 record. The walks, of course, could use some work, but with more innings at higher levels, he will tune his control. Duplaniter has a chance to be pitching in Reno in 2019, albeit not for long, but when he does, he will be a must watch for Aces fans. Smith was the 2017 first round pick for the Diamondbacks, taken seventh overall, and is currently the fourth-rated prospect in the Diamondbacks system according to MLB.com. With High-A Visalia Rawhide in 2018, Smith compiled 504 plate appearances and hit .255 with a .735 OPS, 25 doubles and 11 home runs. Coming out of college, his calling card was getting on base. He had 100 walks to 75 career strikeouts at the University of Virginia, and while his strikeouts have risen a little more, 65 in 2018, he has not lost his plate discipline, compiling 57 walks. Smith is still a couple of years away from the big leagues, but he has a good chance to make it to Reno in 2019. It may only be for half a season, but he could be a valuable piece in the lineup for the Aces. Jazz Chisolm had a terrific year across two different levels, specifically with High-A Visalia. He hit .329 with a .966 OPS, 25 homers, 23 doubles, and six triples, a solid year coming off 2017 that was ended by a torn meniscus. According to MLB.com, Chisholm's hit tool is a 50, while his power is a 40. He may have overperformed according to those scouting numbers, but he can be an average to above-average player in the AFL as well as the big leagues. His strikeout rate is high, but if he can continue to get on base at the same rate, or even a bit less, and steal 20-25 bases a year, he will be a top of the order hitter. Chisholm is coming along a little more slowly than Smith, despite finishing the year at the same level last year, but he may be in Reno in the latter half of the season. Daulton Varsho is a top five prospect in the Diamondbacks system and the teams' top catching prospect. Varsho, along with Smith and Chisholm, played at High-A Visalia for most of the season after playing three games in rookie ball. Across the two levels, he hit .294 with a .842 OPS, 12 home runs and 13 doubles. Varsho projects to be an above average hitting catcher, and if he can continue to do so, he will fly across all levels of the minors, as above average hitting catchers are a rare commodity in baseball. He, too, has a decent chance to make it to Reno in 2019. Drew Ellis is the final top ten prospect to be on the AFL roster for the Diamondbacks. Ellis played his full season at High-A Visalia and hit .246 with a .760 OPS, 15 home runs and a team-leading 34 doubles. Ellis, a 2017 second-round pick, has gap to gap as well as out of the park power. He, along with Duplantier and Smith, have the best chance to play quite a big chunk with the Aces in 2019. Dom Miroglio is the final MLB.com Top-30 prospect on the AFL roster for the D-Backs, coming in at 30. Miroglio played most of his season at High-A Visalia and hit .327 with a .855 OPS, four homers and 23 doubles. With the Double-A Jackson Generals, he only had 81 plate appearances and struggled. Hitting .231 with a .5617 OPS, no home runs and four doubles. Kevin Ginkel had a terrific season between Low and High-A, pitching to a 1.14 ERA, and 100 strikeouts in 70 innings in relief. Tyler Mark, also a reliever, posted a 2.29 ERA across Low and High-A with 76 strikeouts in 63 innings. Bo Takahashi also pitched in Low and High-A and had a 4.03 ERA with 130 strikeouts in 120.2 innings. Renae Martinez, the final position player for the D-Backs in the AFL. He played at Single-A Kane County as well as High-A Visalia and hit .304 with nine home runs and 28 doubles across the two levels. The AFL give fans a chance to keep tabs on their teams' top prospects and with six of the Diamondbacks top 30 prospects on the Salt River roster. 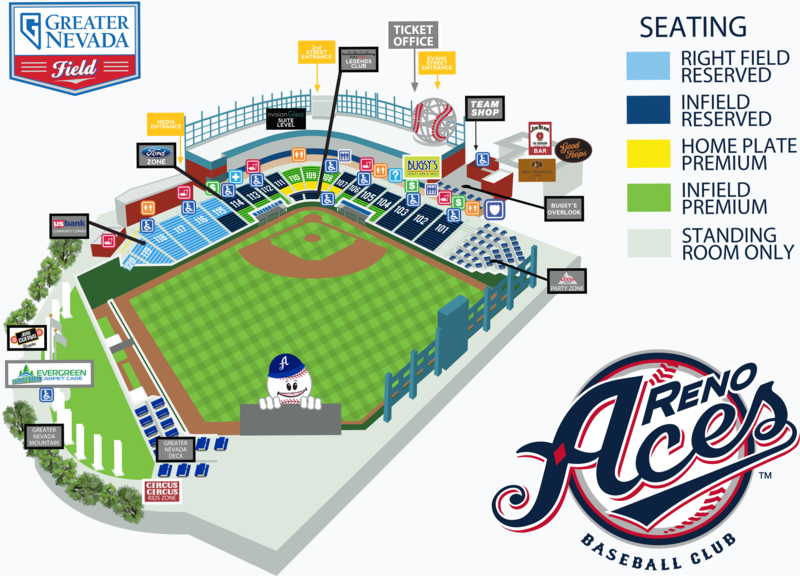 Make sure to keep up with the seasons of those prospects, because you might be watching them in Reno during the 2019 season.